The Trust is well under way to restoring “The Golden Mile” and the Canal Cottages at Draycott. This will be a major step forward and a first stretch in water supported by a headquarter building and focal point for activities on the stretch of water. In 1999 Railtrack plc determined that the problems of increased flooding of the main rail track to London had arisen because the canal was no longer draining land to the north of Draycott. Working with the Trust they agreed to dig out a drainage ditch along the canal line, which would capture the water and direct it to a pipe under the railway track and into the River Derwent. When the work was completed the Trust planted Hawthorn whips to form hedges along both boundaries and Society working parties have now laid the hedges to provide a thicker boundary that encourages wildlife. This was so successful that local use by walkers, cyclists and horse riders has boomed and the length has been christened the “Golden Mile” by locals. 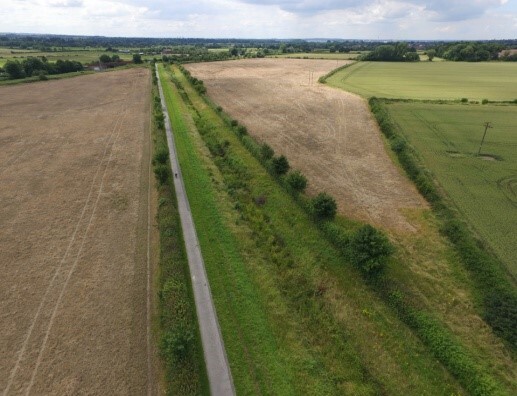 With all the preparatory work completed the Trust arranged for a local contractor to quote for restoration of the canal section and they used a state of the art drone, which mapped the stretch from Hopwell Road to the Derby Road bridge. 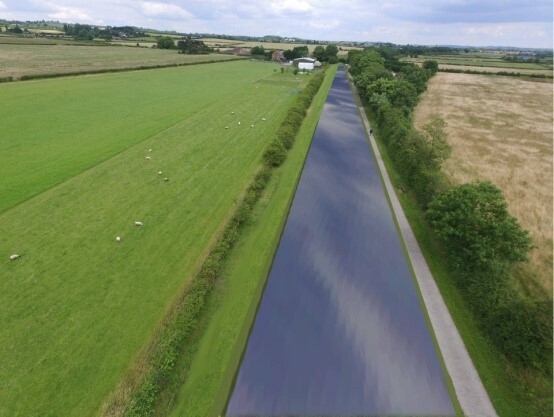 This produced a 3D image that shows that all the soils moved to create the canal will be used on site and will be able to direct a computer controlled, GPS guided excavator to produce the typical U shaped canal profile and a constant water depth of 1.2m for the full length of the canal. A dam will be created close to the Derby Road bridge with a weir to allow any excess water to flow down the existing drain. A slipway and small car park will also be constructed at the Hopwell Road end. A slipway to allow small boats and canoes to access the water. Mooring points at each end. A re-laid foot/cycle path with a grass track for horse riders. These works can be fully achieved over a 12 week period as soon as funding is available. The restored canal will act as a recreational resource for the local community whether it be angling, canoeing or simply walking or riding along the canal. A permanent aquatic corridor will improve the biodiversity by attracting invertebrates, fish, hedgerow birds, duck and swans, water voles, etc. 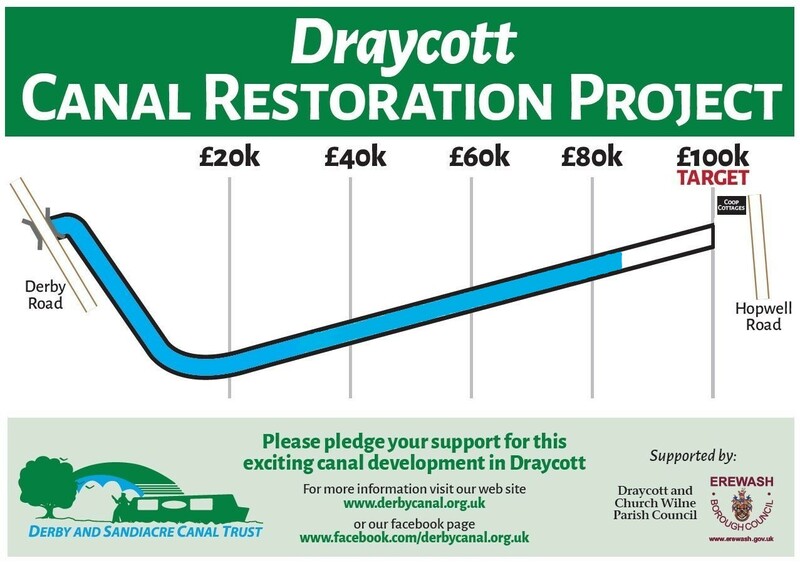 Increased use of the canal corridor has the potential to bring increased revenues to the businesses in Draycott. A key benefit to the Trust is that this restoration will cement the planning consent that the Trust has across the Borough of Erewash further protecting the route of the Derby and Sandiacre Canal. The mooted use of the canal route for a tram service to Derby, if implemented, would prevent restoration of the canal. The estimated total current cost of the canal restoration project is less than £400,000 based upon a detailed fixed quotation for the construction works specified above. The Trust has identified a number of organisations that may provide grant funding to assist this development and has commenced public fundraising to meet the 25% matched funding requirements. We need to demonstrate public support so we are appealing for pledges totalling £100,000 before applying for grant funding to complete the £352,000 project. We have already raised over £85,000 towards the target, a magnificent achievement that demonstrates public desire for the project’s completion. We are confident that the canal will become a real attraction locally and hopefully encourage more collaboration in future restorations. We need pledges of support from individuals, businesses and organisations at this stage which we will then call upon when the funding target has been reached and the construction work is scheduled to begin. What can you do the help us? Please pledge your support to the fundraising initiative by sponsoring a yard (or more) of the restoration. Every £100 you pledge can be worth at least £500 to the Trust’s canal length restoration and supports the cottages restoration indirectly. If you would like to pay for your sponsorship straight away please indicate this in the comment box below. All pledges of £100 or more will be recorded in our Contributors Book to be held by the Parish Council and published on the Trust’s website. All pledges of at least £500 will be recorded on an engraved brick to be built into a celebratory wall to be erected at the Hopwell Road end. All pledges of £1,000 or more will also be noted on a sign board to be erected at the Derby Road end of the stretch. Any businesses making such a donation may also have links and details attached to our web site and advertising in the Packet magazine. 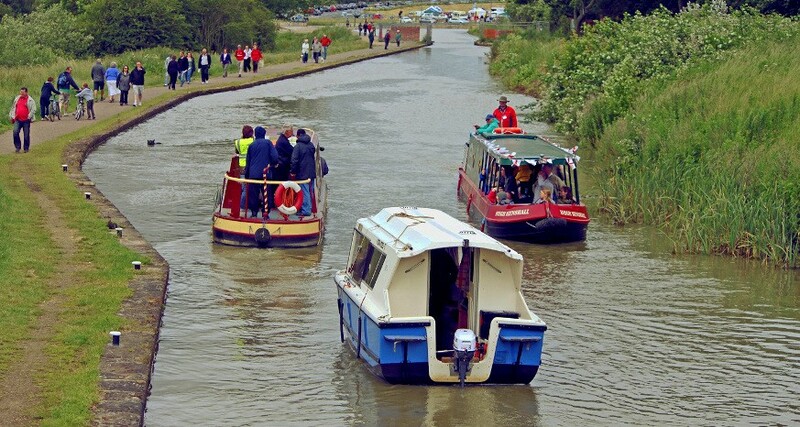 Maggie Throup said: “To have the Derby and Sandiacre Canal re-established would be fantastic for our local community and for visitors alike. I hope that once people see that what is happening here, the other stages will come to fruition even quicker”. Please select the number of yards that you wish to pledge to adopt at £100 per yard. If other please enter the number of yards that you would like to pledge. By selecting “Yes” I confirm that I want to Gift Aid my donation on this form and any donations I make in the future or have made in the past 4 years to The Derby and Sandiacre Canal Trust. I am a UK taxpayer and understand that if I pay less Income Tax and/or Capital Gains Tax than the amount of Gift Aid claimed on all my donations in that tax year it is my responsibility to pay any difference. I will notify the Trust if I want to cancel this declaration, or I change my name or home address or I no longer pay sufficient tax on my income and/or capital gains. For more details please visit the HMRC website. I am not a UK taxpayer or I will not pay sufficient Income Tax and/or Capital Gains Tax in the current tax year to allow the Trust to reclaim Gift Aid. For more details please visit the HMRC website. Do you have any skills that may be of benefit to the Trust?